Dinged the leading edge of the Elipstik last week landing too close to the pits and hitting one of the fence poles. Damage repaired, and while I had it on the bench, I swapped out the Razor 300 motor, which kept bending gearbox shafts on landing, with a direct-drive Mega 16/15/5 with an APC 8"x6" prop on it. Flies nicely on 2s1p 2100 LiPoly and SCREAMS on 3s1p 1800 LiPoly. The 1800 mAh pack requires 1 oz. of lead taped to it to balance! Maidened the Elipstik today. 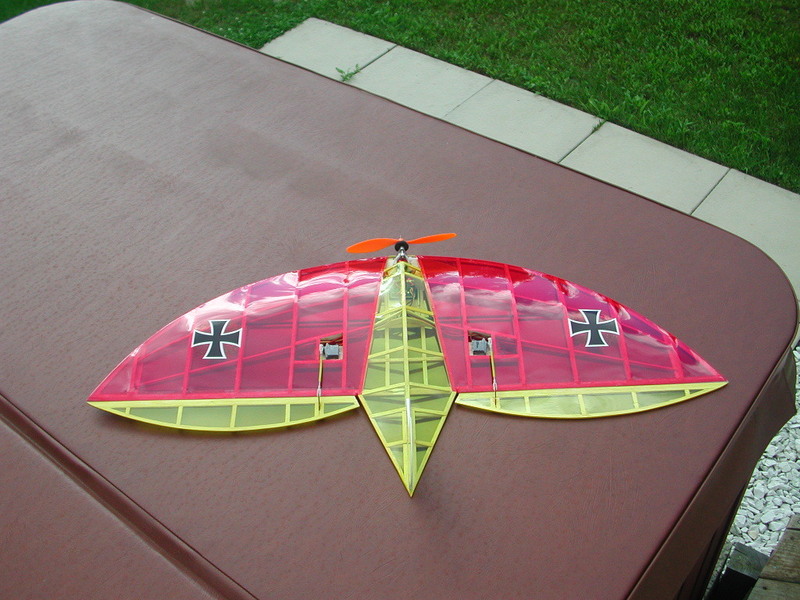 Flew it with 8x6 prop and 2s2p 1200 Lipo (2400 mAh total) pack. First flight was quite wild as the control throws were about double what I was comfortable with. Once on the ground I got it dialed in quite nicely. Flys great! Chuck built a winner for sure. 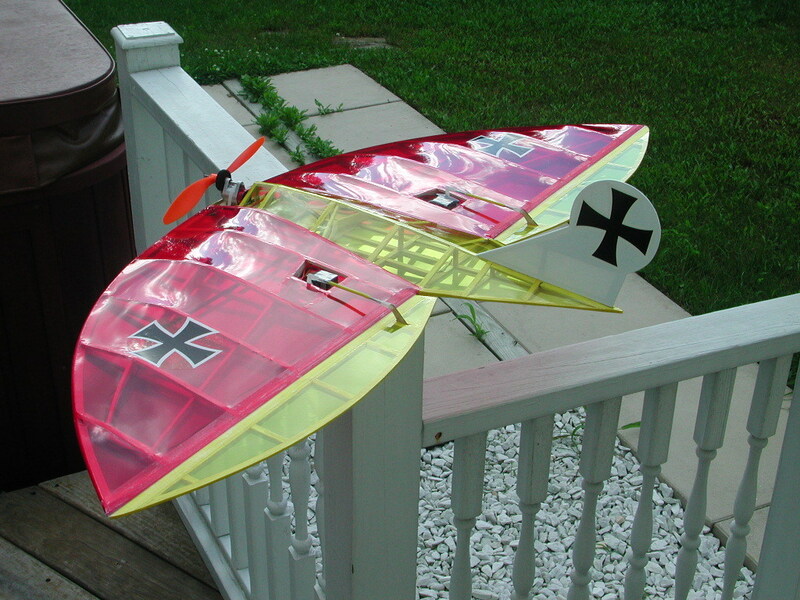 My good friend Chuck Keller built the balsa bones for this Elipstik as a gift to me. 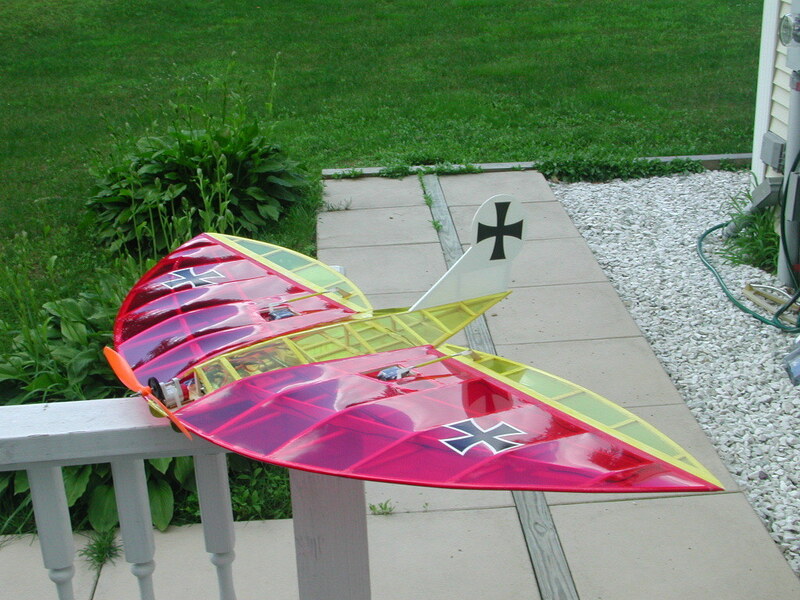 I modified the tail to make it look more 'Fokker' like and installed a razor 300 brushless motor in a Won gearbox. Prop is 8x6 GWS prop for now. Batteries will be 2s Lipo packs. Maiden next Wednesday.